IN the month of May, 1825, the sexagenarian Marshal Macdonald, left a widower for the third time, was plunged in the deepest grief. fly his previous marriage he had only daughters ; the last marriage, solemnized scarcely four years before, and which had terminated so sadly, left him a son, heir to his name. It was for this child still in the cradle that, far from Paris, far from the conventional consolations and condolences of the Court, the Marshal undertook—not to distract, but to occupy the isolation caused by his sorrow —to note down the various stages of his long and glorious career. He did not pretend to write memoirs; they are merely recollections destined for the child who was alone to see them in the future. Sixty-five years have elapsed since they were penned ; more than fifty have come and gone since the Marshal died, and his grand-daughter, the Baronne de Pomrnereul, has thought that, in the interest and for the advantage of history, as well as for the reputation and fame of her ancestor, the moment has come to lift the veil which, until now, has covered these 'Recollections,' and has entrusted to me the task of revealing them to the public. It is a great honour, for which I am grateful to her. I could not help feeling respectful emotion as I turned over those pages impregnated with sincerity, and which breathed forth truth like a refreshing perfume. On no occasion, nor in any presence, did Macdonald conceal his thoughts, even when with the greatest of men, with Napoleon or with Louis XVIII. There is no single erasure or alteration in this manuscript Of 472 folio pages; there are consequently a few incomplete sentences, of which it has been found necessary to restore a word or two. With these exceptions, and with the omission of a few intimate details of precious interest for the family, but not for anyone unconnected with it, the text has been treated with the respect it merits. Introduction—Journey to the Hebrides— Parentage—Brothers and Sisters—With Maillebois—Life at Sancerre— Gentleman-Cadet At St. Germain—Marriage. First Campaign—Battle of Jemmappes—Appointed Colonel—Arrival at Lille—Dumouriez's Treachery —Events at Lille—Interrogation —End of the Incident. General Larnarlière—Macdonald appointed Adjutant-General---Execution of Lamarlière—Skirmishes at Linselles and Commines—Entry into Lille—A Warlike Commissioner—Denunciation—A Loyal Friend—A Broken Reed—Extension of Command— General Pichegru--Belgium and Holland—Battle of Hooglède—On the Waal. Passage of the Waal—Its Results—Reconnaissance at Arnheim—Arrival at Naarden—Capitulation of Naarden—On the Banks of the Vssel —Delfzyl--The Peace of Basle—Command in Overyssel—Ordered to Walcheren—Fever—Rernoval to Utrecht—Convalescence. Army of the Sambre and Meuse—Dnnauwerth—Operations on the Rhine—Neuwieci—Mistake of Genera] CateIvert—His Excuse and Recall—At Düsseldorf—Fresh hostilities on the Rhine—Arrival of General Augerean—Politeness and Literary Attainments of General Lefehvre—Macdonald summoned to Paris. Ordered to Italy—The Army of Rome—General Championnet—Insurrection in Rome--Championnet's Flight—Evacuation of Rome— General Mack—Nepi and Otricoli—Differences with Championnet Explanation. At Fort Sam-Angelo--Junction with Kellermano—Return to Rome —A Speedy Decision--Before Capua--A Truce—Arrest of Mack —Commander-in-chief of the Army of Naples—Arrival at Naples--- Rising in Naples—Insurrections in the Country—Miracle of St. J anuarius— Preparations. Had News—Advance to Rome—Alarm for Naples—Departure from Rome—Sarzana and Pontremoli—Rising in Tuscany—Surrender of Fort Sant'-Elmo—A Brave Action—Capitulation of Ferrara— Generals Montrichard and Schérer—Offer of Resignation. Battle of Modena—The Marshal in Danger—Severely wounded - Montrichard's Mistake—Austrian Breach of Faith—March towards the Trebbia and Tidone—Battle of the Trebbia. Absence of Moreau—Victor's Delay—Flight of Victor—Plans for Retreat —Difficulties of the March—Modena and Sassuolo—Hesitation of Moreau—Blockade of Mantia— Concentration near Genoa—The Army of the Alps. 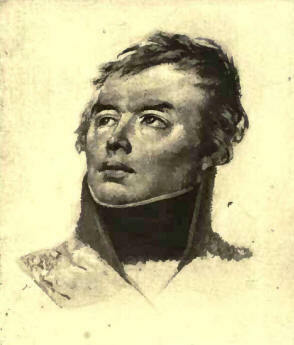 A Valuable Collection lost—Joubert Commander-in-chief—Fall of Mantua—Death of Joubert—Back at Paris—Action against Moreau —Landing of Napoleon—The 18th Brumaire—Reorganization of the Armies—Morcau's Double-dealing—The Army of the Grison - Peace of Lunéville—Diplomatic Mission to Denmark. At Copenhagen—Diplomacy against the Grain—Recall to France— Monsieur (le Talleyrand- —Trial of Moreau—Napoleon elected Emperor—The Legion of Honour—In Disgrace—Purchase of Courcelles—Recalled to Active Service—Domestic Arrangements. Departure for Italy—Untrustworthy Intelligence—A Bad Beginning— Arrival at Vicenza—Prince Eugène—Warnings and Defensive Measures. Defence of the Alpone—Retreat of the Archduke John—Combat on the Piave—An Incomplete Success—Capit ulat ion of Prewald—Siege of Layhach --Advance to Gratz. The Eve of Wagram—Battle of Wagram—The Marshal's Baton gained on the Field of Battle—Dismissal of Bernadotte—Armistice. Vandamme's Outburst—Return to Gratz—Independence of the Archduke—Recognition of the Armistice—Grand Cordon of the Legion of Honour—Duke of Tarentum– Divorce of the Emperor— Evacuation of Styria—Marriage Negotiations—Marriage of the Emperor. Cornmander-in-chief of the Army of Catalonia—Blockade and Surrender of Figueras—First Attack of Gout. Preparations for the Russian Campaign—On the Niemen—Murat—Retreat towards Tilsit—General Vorck— Intense Cold—Anxiety and Doubts—Attitude of the Prussians—Defection of the Prussians. Alarm at Naples—A Trap—A Terrible March—Russian Untrustworthiness—Alarm of the King of Naples—Plan of Action—Arrival at Dantzic—Summons to Paris—Reception by the Emperor. The Grand Army—Battle of Lutzen—Occupation of Dresden—Battle of J3aut7en—A Futile Congress—Passage of the Bober—Surrender of Vandamme—Skirmish at Goldberg—Battle of the Katzbach Disorderly Retreat—General Sebastiani—Serious Preparations. Concentration at Dresden—Contradictory Orders—Movements of the Enemy-Battle of Leipsic - Commencement of the Retreat- Treachery of the Hessians—Destruction of the Bridge—Confusion and Disorder—Passage of the Elster—A Terrible Spectacle—Reception by the Emperor—Loss of Carriages. Marshal Augereau—Passage of the Saale—At Erfurt—Plain Speaking—Arrival at Gelnhausen—Discouragement---In Hanau Woods— Issue from the Woods—Entry into Hanau. At Mayence—What Caulaincourt said—Conversation with the Emperor —Want of Money— Evacuation of Arnheim—Surprise of NeussThe Enemy cross the Rhine—Advance into France. Campaign in France—Bombardment of Châlons—Escape from Epernay —Champaubert and Château-Thierry--Congress of Châtillon— Surprise at Troyes—Retreat of the Enemy—The Emperor at Arcis—Departure of the Emperor. Battle of Arcis—On the Marne—Battle of St. Dizier—Before Vitry—An Unlucky Misprint—Return towards Paris—The Approaching End. Fall of Paris—Feeling in the Army—Scene at Fontainebleau—Heurnonyule's Letter— Abdication of the Emperor —Nomination of the Commissioners—The Duke of Ragusa—At Petit-Bourg. Prince Schwartzenbcrg—Arrival of the Commissioners in Paris—Reception by the Emperor Alexander—The Commissioners' Proposals —The Provisional Government—A Lamentable Defection—The Regency negatived—Decision of the Allies—Return to Fontainebleau. Attitude of Napoleon—His Opinion of Marmont—Command given to Berthier—Feeling among the Allies—Austrian Trickery—Eagerness of Ney—His Parsimony. Reported Flight of Napoleon—Desertions---The New Order of Things —Macdonald refuses Adhesion—Termination of the Drama - Last Interview at Fontainebleau—Napoleon's Farewell. Delivery of the Treaty—The Marshal's Reappearance at the Tuileries —Dinner with the Czar—And with Monsieur—Arrival of the King at Compiègne—His Reception of the Marshals—Dinner with the King--Macdonald's Opinion—The King comes to Saint Ouen. The King's Entry into Paris—The Old Guard—First Steps towards Unpopularity—The Council of War—Mismanagement - Parliamentary Independence—The Marshal's Nickname--The Legion of Honour. Universal Discontent—Indifference of the Government—Question of the Indemnities—Reception of the Duke and Duchess of Angoulme. A Disquieting Summons—Landing of Napoleon—Monsieur at Lyons—Mutinous Troops. Meeting of Officers—Grounds of Complaint—Departure of Monsieur— A Stratagem—Illusory Hopes—A Critical Moment—Retreat—A Hasty Flight—General Digeon's Terror—A Hard Ride. With Monsieur—Incidents of the Flight—General Du Coetlosquet - The King's Generosity—Meeting of the Senate—Advice to the King—Hasty Measures--Ney's Desertion. The State of Paris—Imminent Peril—Plan of Escape—Hint to Viomesnii —At Saint Denis---A Disorderly March—At Abbeville—The Sub-Prefect of Bthune. Outside Lille—Entry into Lille—The Kings Uneasiness—An Inconvenent Loss—The King's Decision—Departure for the Frontier —The King's Farewell. Return to Lille—Defection of Mortier—A Trustworthy Messenger—At Béthune—Excelmans and Ney-Dessole's Nervousncss—Interview with Davofit—Mathieu Dumas—The News of Waterloo. Secret Meetings—The Temporary Government—The Cockade Question —The King at Arnouville—The Secretaryship for War--Ministerial Candidates—Mission to Paris—Arch-Chancellor of the Legion of Honour. The King's Second Entry into Paris—The Army of the Loire—The Ordinances of July- Resignation of the Prince of Eckmuhl - Marshal Macdonald takes the Command -Gallantry of General Drouot—His Modesty and Religious Feeling—judicial Murder of the Hero of Beresina—Last Moments of Marshal Ney—Infamous Behaviour of General Lecchi —Anecdotes of the Emperor's Aidesde-Camp. Interview with the Officers —Warrants of Arrest - Difficulties at Bourges —Feeling among Napoleon's Soldiers—End of the Disbandment - Release from Bourges—Mission to Lyons - A Startling Confesion.